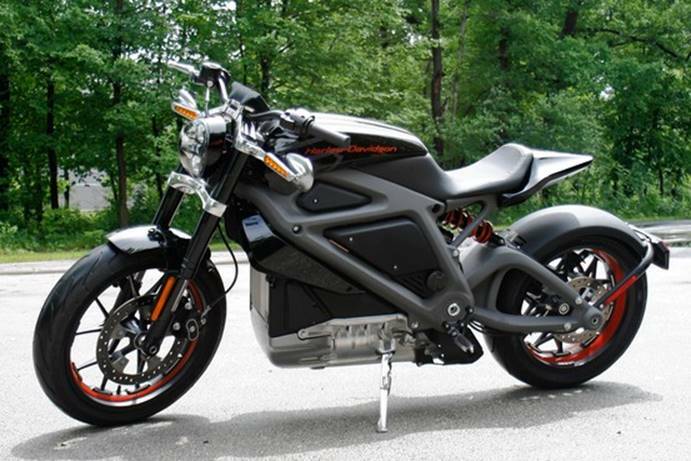 Harley-Davidson Inc., HOG +0.33% known for gasoline-powered motorcycles thundering with machismo, is testing a battery-powered model that it hopes will appeal to younger people concerned about the environment. “We’d like to get customer feedback,” Matt Levatich, Harley’s president and chief operating officer, said in an interview, adding that the product is at least two years away from being offered for sale. For now, he said, the lithium-ion batteries in prototype models have a range of roughly 100 miles between recharges under typical riding conditions. They can go from zero to 60 miles an hour in “just under four seconds,” he said. The Milwaukee-based company said on Thursday that “select consumers” around the country next week will start getting a chance to ride prototype cycles with rechargeable batteries. The company still hasn’t decided whether or when to put such motorcycles on the market and is looking for feedback from bike owners before proceeding further, he said. The project, dubbed LiveWire, has been in the works for four years, he said. Rather than the rumbling sound of traditional Harleys, the new machines sound more like a jet engine, only much quieter, Mr. Levatich said. The project wasn’t launched in response to environmental regulations, he said. Rather, current technology allows the company to produce a battery-powered cycle and “we feel we should,” Mr. Levatich added. James Hardiman, an analyst for Longbow Research, called the project a surprise. “It’s a pretty big departure from anything they’ve ever done,” he said, and should help Harley appeal more to a younger and more environmentally conscious crowd. For people who don’t already ride motorcycles, Harley promised to offer a “simulated riding experience” rather than a road test. Experienced riders will be invited for highway rides. In recent years, Harley has striven to reduce its reliance on aging white male baby boomers and appeal more to young people, women and minorities. As part of the company’s strategy, two new bikes, known as the 750 and 500, are being rolled out. These smaller bikes are aimed at younger riders, who might find a traditional Harley touring bike too large or heavy to handle, particularly on crowded city streets. The company didn’t release a possible price for the LiveWire. High costs and limited range have kept demand low for battery-powered cars so far. Harley-Davidson is the dominant U.S. supplier of heavyweight motorcycles. For this year’s first quarter, the company reported that its share of sales in the U.S. market for new motorcycles with engines of 601 cubic-centimeters displacement or greater was 56%.